For Affjobs, quality is paramount. 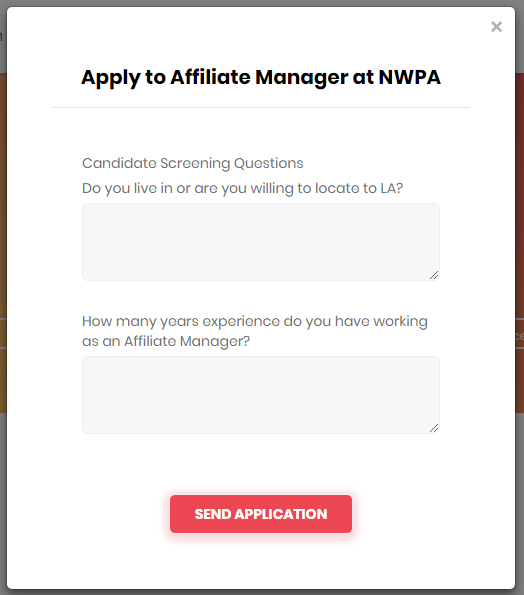 So to ensure companies can manage applications quickly and effectively, we've added a Candidate Screening Questionnaire feature. 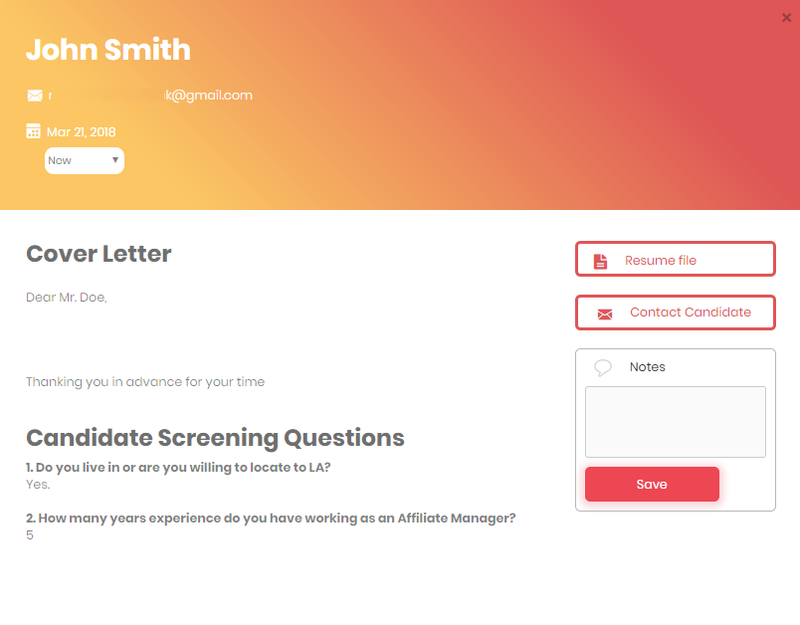 This will enable you to ask candidates a question or a series of questions before they submit their application. Adding specific questions will enable you to sort through candidates more efficiently, and can be useful to identify candidates who do not necessarily qualify for your role. Do you live in or are you willing to locate to LA? 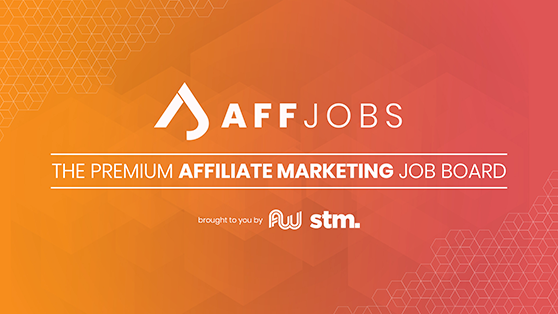 How many years experience do you have working as an Affiliate Manager? What makes you the ideal candidate for this role? What campaign were you most proud of running and why? Tell us a bit about your media buying experience, what traffic sources and verticals have you worked with? 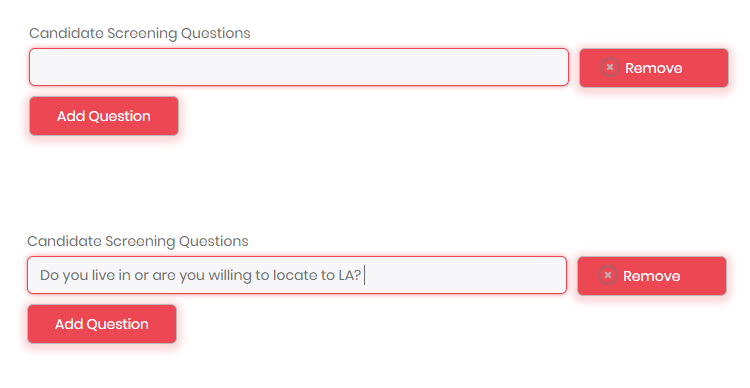 When creating or editing a listing, simply type a question you'd like a candidate to answer before submitting their application. The answer to your questions will be shown below the cover letter of a job application. And that's it. Simple as pie.